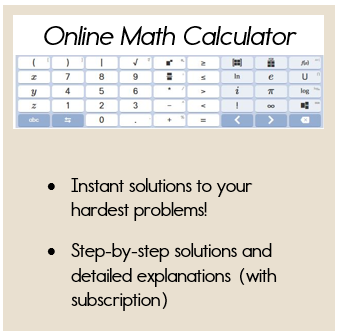 Now that you've completed the Graphing Systems of Equations lesson, you must be ready to practice a few on your own. Graph each equation on the same graph. If the equation is written in standard form, you can either find the x and y intercepts or rewrite the equation in slope intercept form. 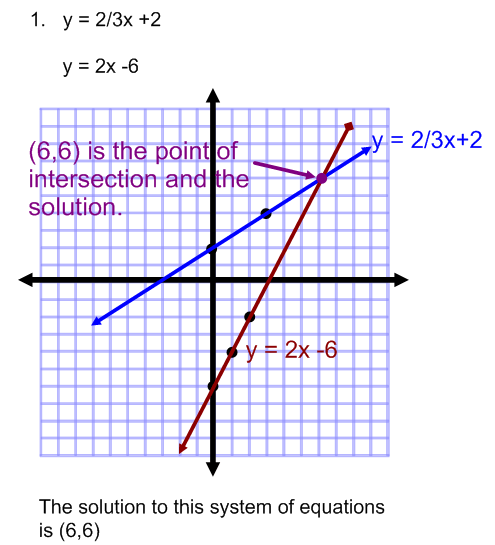 The point of intersection is the solution to the system of equations. If two equations have the same slope, then the lines will be parallel and there is NO solution. If the two equations are identical, then the lines will lie on top of each other and there are an infinite number of solutions. Directions: Graph each system and identify the solution. Click here to print graph paper. 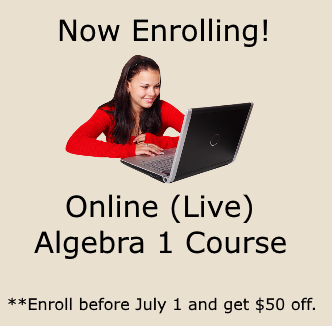 If you need more practice problems, with step by step solutions, you must check out the Algebra Class E-course. Not only will you find a lot of practice problems, but you'll also have access to more examples on video, quizzes, and practice tests! How did you do? Graphing Systems is a pretty easy way to find the solution, as long as the solution is an identifiable point on the graph. Next, we will explore two ways to solve systems of equations without graphing. We will start with the substitution method.